We’re in the home stretch before Christmas, but gift-giving is still on our minds! In our last post, we shared 12 great gift ideas to help motivate your friends or loved ones in a healthy direction. However, the MoChi “Twist-a-Mania” workout program is the ultimate gift that offers health benefits throughout the entire year. It’s perfect for everyone — men, women, children, and seniors — because the high-energy, fat-burning, music-driven, fun workout can be done at home, school or the office. MoChi Fitness is fun and affordable so giving the gift of health will be easy this year. We’ve even paired up some great fitness accessories to complement each level of fitness you’re gifting, and it’s all under $100! This gift idea is for the ones in your life that keep saying they’ll sign up for a gym membership but never do. Gifting a Single MoChi Twister and Twist-a-Mania dvd, will bring the gym to their home and get them moving. The awesome filtering waterbobble will also make drinking water fresh and fun! Got a friend who’s determined to lose their extra weight and stay healthy? The MoChi Fitness Starter Package (with two twisters, G.I.F.T. dial, dvd, and Eating Right book) will motivate them to move and eat right. Top off the gift with a fitbook pink edition to help journal their way through healthy living. Feed your friend’s fitness frenzy with the MoChi Fitness All-in-One Package. They can twist their way through 4 jam-packed dvds, listen and read all about healthy eating, and tote their fitness everywhere they need to go. Give them a resistance cord to stretch their fight for fitness across the board. Being active in short intervals several times throughout the day is just as important as a pre- or post-workout sweat session. According to the American College of Sports Medicine, being sedentary for several hours daily can cause health issues like heart-disease and depression. Keeping your body in motion with 5-10 minute exercise breaks three to four times throughout the day can make a difference in your overall health. With the portable MoChi “Twist-a-Mania” program you can conveniently transport the twisters to school or to the office making it easy to power up the motion in your body and offering health benefits that can add years to your life. What other fitness accessories would you give your friends and how would it help their fight for a healthy life? *This is in no way a sponsored/paid post. All opinions given are our own. Figuring out what to give your friends or family this holiday season? Well look no further! Give them the gift of health to let them know how much you care about them. They inspire and motivate you to be your best, and what better way to show your appreciation than by inspiring and motivating them to do the same with these healthy gifts! What are you giving your friends and family this season? Share your thoughts in the comments below. Holiday Stress-Eating? Snack On This! The ‘erries – Blueberries, cranberries, and even cherries are packed with a lot of punch. Blueberries give a much needed energy boost, cranberries help protect from diseases and infections, and cherries are the fruit of choice for weight maintenance. Persimmons – These sweet & savory fruits always seem to be under the radar, but they’re in the spotlight on ours. They’re full of fiber and Vitamin A. Eat them ripe and on a full stomach because they can react to an acidic environment, causing an intestinal obstruction called a bezoar. Nuts – Put those beautiful nutcrackers to use and add some crunch to your palate. Nutrition profiles vary for each nut but almonds, hazelnuts, and peanuts boast the highest Vitamin E content per serving, a powerful antioxidant essential for metabolic processes and also good for preventing the development of arterial plaque (which can cause heart attacks). Dark Chocolate – It’s truly a sweet fact when you find out that dark chocolate can be good for you. Not only does its natural antioxidants help with good cardiovascular health, but its chemical compounds also help with your mood. Snack and be merry, you deserve it! 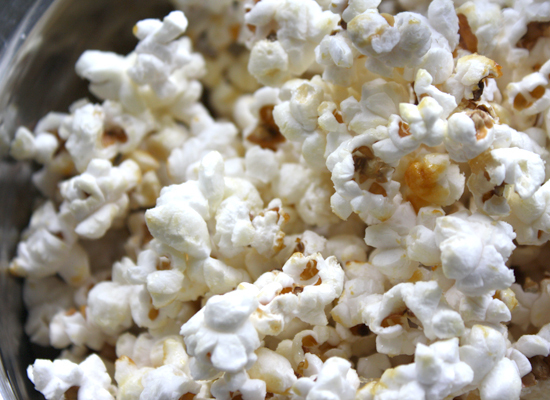 Homemade Kettle Corn – We love popcorn because it satisfies, but doesn’t spoil your appetite! And the healthy part about making it yourself? You control the sugar. Try using Rapunzel Organic Whole Cane Sugar (it retains most of the sugar cane’s minerals and vitamins). Listen as Dawna, MoChi Fitness Founder, shares her thoughts about the last week of the Hilton Head Metabolism Diet. Please keep emailing your questions and stories to us at info@mochifitness.com or on the MoChi Fitness Facebook Page. We love sharing in the journey to becoming healthy with our MoChi Fitness family! Six weeks ago Dawna Hudson, Founder of MoChi Fitness, started a weight loss program called the Hilton Head Metabolism Diet. Dawna has shed 8 pounds since then, reaching a little over half of her weight loss goal of 15 pounds. Meeting her goal is taking longer than expected, but one should realize that dieting works differently for every body and with every lifestyle. There are also obstacles or distractions that may happen along the way – like getting sick or injured, going on vacation or business trips, etc. However, the time and effort spent on this diet reveals one conclusion that is relevant to everyone: never give up and you’ll strive to live a healthy and balanced lifestyle that you won’t regret. If you haven’t met your weight loss goal just yet, keep up the good faith (and good eating). All menus are readily available here on our MoChi Fitness blog, as well as the Hilton Head Metabolism book. Exercising twice a day is also key to successfully completing the diet, so don’t forget to twist with MoChi Twisters to get your fitness fix! If you have any questions or tips, email us at info@mochitwisters.com. We love hearing from you! It’s important that you pick up a copy of the national bestseller “Hilton Head Metabolism Diet” by Dr. Peter M. Miller before starting this diet with me… Dr. Miller offers a totally different approach to controlling your weight. As mentioned in the book it’s like discovering a medicine that has just been developed to cure your chronic disease… The book has been around for many years but once you experience the diet for yourself, you can’t stop talking about it. It changes your body chemistry and once you lose weight, you can eat normally and never gain weight again so long as you eat clean and balanced proportioned meals. Now that’s exciting! I love our MoChi Fitness Twist Workout plan & diet and was successful losing 30 lbs following it. However, I was struggling with the last 15 lbs I wanted to drop off. My life has gotten so busy that I found myself anxious with taking the time to count calories and plan out my meals. What appeals to me about the Hilton Head diet is how easy it is to follow. No calorie counting or having to put thought into what I need to plan out for the week. The daily menu is planned out for you. It’s the perfect diet for me because it’s easy, and most importantly, l am experiencing good clean basic eating. It’s nutritionally balanced and resonates well with my body and it honestly just makes sense. Combined with the benefits and ease of use provided by the twist workout routine, I can easily balance my diet, exercise and daily life. As you continue with the Low-cal and Booster phases, you should weigh yourself every Monday morning carefully tracking your weight. On the Monday that you are within two pounds or less of your goal, you are ready for the Re-entry Phase! 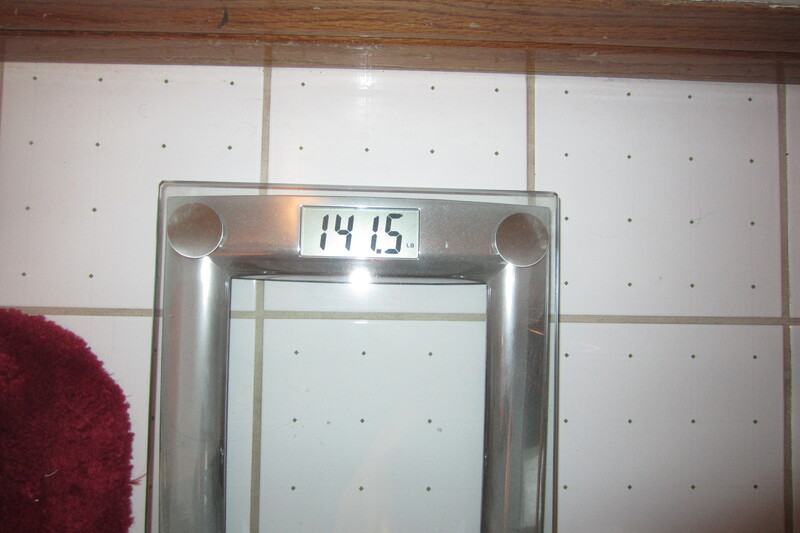 Dawna has lost 6 pounds on the Hilton Head Metabolism Diet and is so close to her goal! Check out how she’s feeling with this diet plan and for her diet tip of the day. If you are nearing your weight loss goal, keep going and don’t get discouraged! Keep following the MoChi Fitness Facebook Page or MoChi Fitness Blog for further updates and more ways to combine inventive twist workouts with innovative diets!